This heat map provides a look at the concentration and intensity of terrorist attacks in 2012. Kammerer, William. 2013. 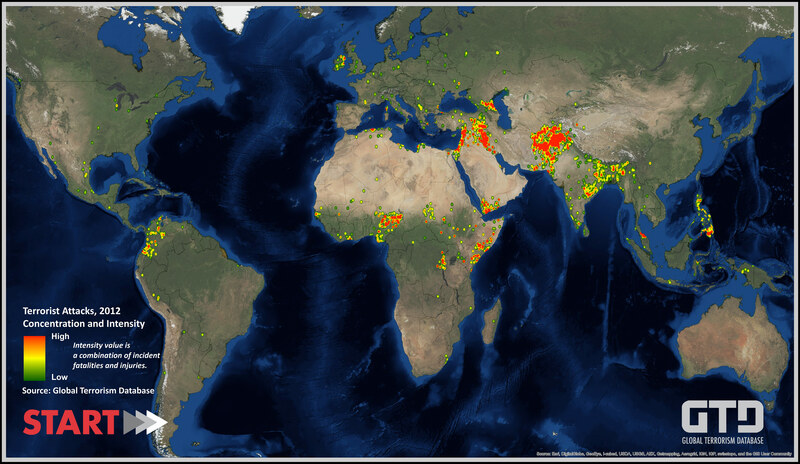 "Heat Map: Global Terrorism Database, Terrorist Attacks 2012, Concentation and Intensity." START, College Park, Maryland. June.